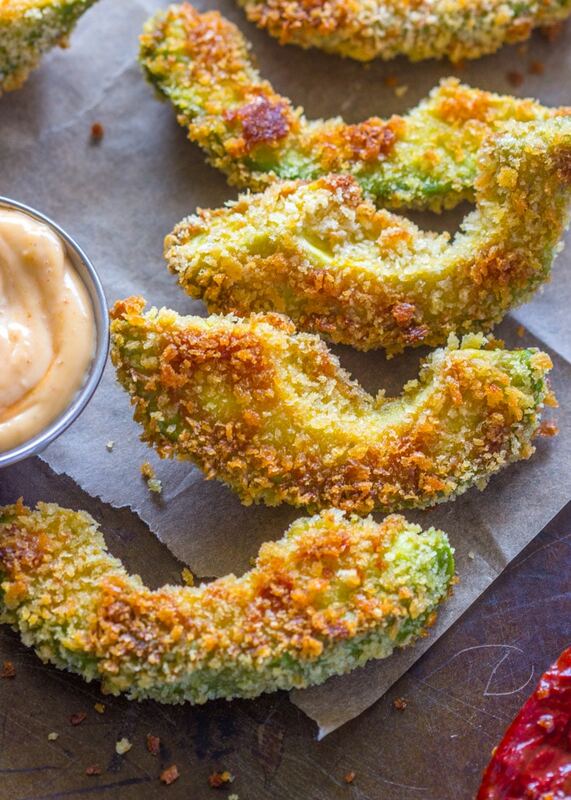 Fresh sliced avocado, coated in crispy panko breadcrumbs and baked to perfection. 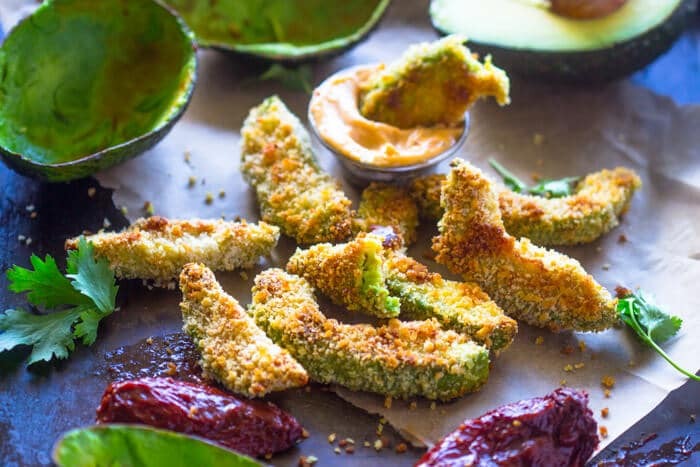 These avocado fries are incredibly tasty and easy to make and are sure to impress the pickiest eaters. There’s one thing I never get tired of making and that’s baked veggies. 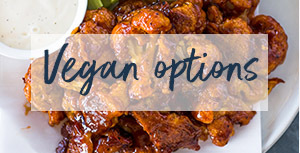 Especially when they replace unhealthy alternatives and taste just as yummy, even not 100x better. 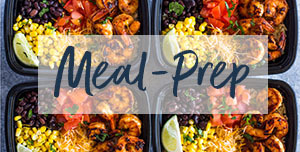 Broccoli tots, cauliflower tots, cauliflower pizza crust, are just a few of my favorite healthy dishes to make. 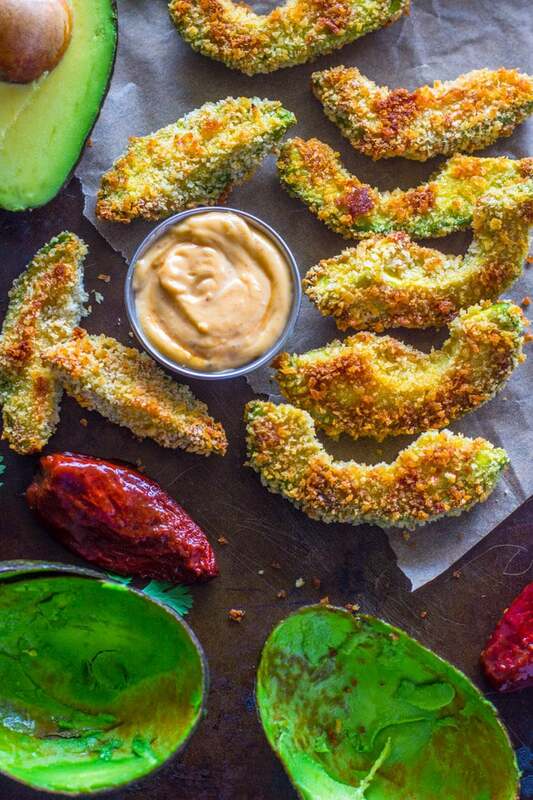 These avocado fries are something else. If you’ve never had them before, this is the perfect time to try them out. They are crispy on the outside and buttery soft on the inside. 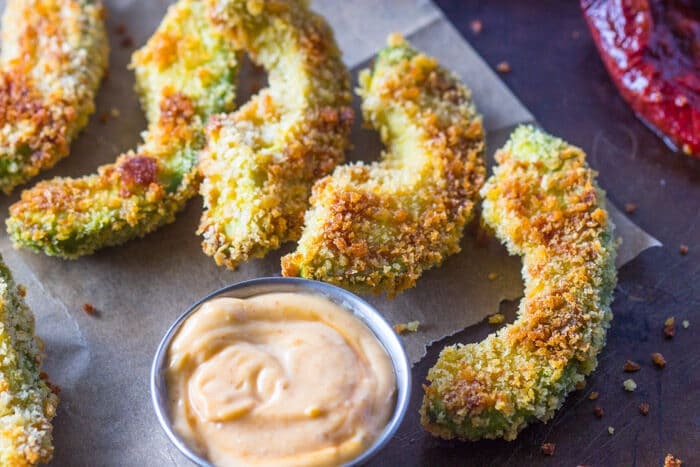 Dip them in your favorite tangy or spicy dipping sauce and call it a meal! 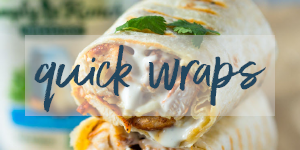 Serve with my chipotle dipping sauce (get the recipe here) or with ranch, ketchup, or your favorite dip! 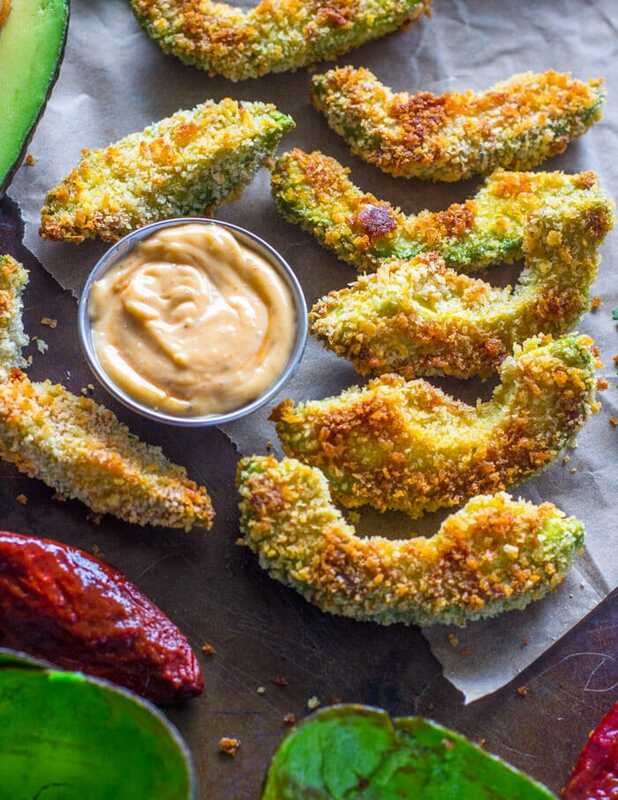 These avocado fries will last in the fridge for up to 24 hours and are excellent when re-heated in the toaster oven. the AVOcados that i made had a bitter aftertaste. can someone pls explain how i can avoid the bitter AFTERTASTE? thanks in advance! Umm… dId you peel the avocados? Made these and they were delicious! I will be making them again! Even better 2 of my kids ages 8 and 12 liked them. Can’t get much better than that! Delious,I love avacoda. Will make them some more!!! Damn delicious! 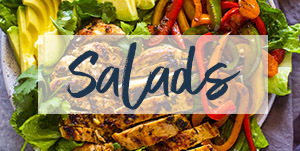 You should use enough salt and a spicy dip maybe in combination with sourcreme…easy to make! Thanks! These were delicious! I think next time I’m going to play around with the seasoning, but overall my family and I were very pleased! Google is there for your questions. It’s extraordinarily easy to educate yourself rather quickly when you have the internet in the palm of your hand. You can buy them from walmart, just ask them and they will show you where it is. i had the same question. My family enjoyed them! ???????? They are crispy on the outside and buttery soft on the inside.???????? Thank you very much. ???????????????????????????????????? Hi. I did as instructed… but why was there a bitter aftertaste? how does one get the recipe. One reads the page they’re currently on… wtf? Hello! 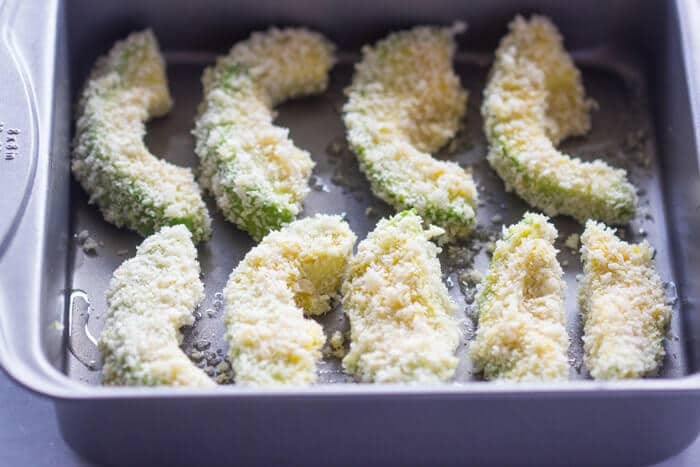 Can I substitute almond meal for the panko breading?? Thanks! I am just learning how to cook (late in life) I made these for the first time last night. 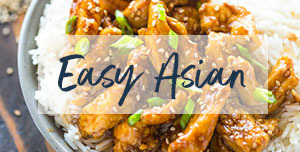 They were so good and easy to make! So tasty thank you! 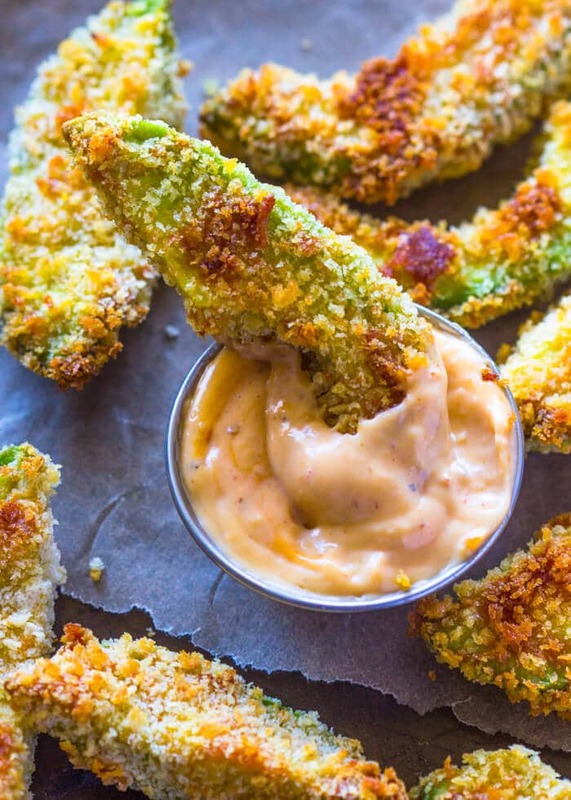 wow, what a creative use of avocado, never seen this before, thank you for this recipe, like that it’s baked instead of fried! This looks delicious! 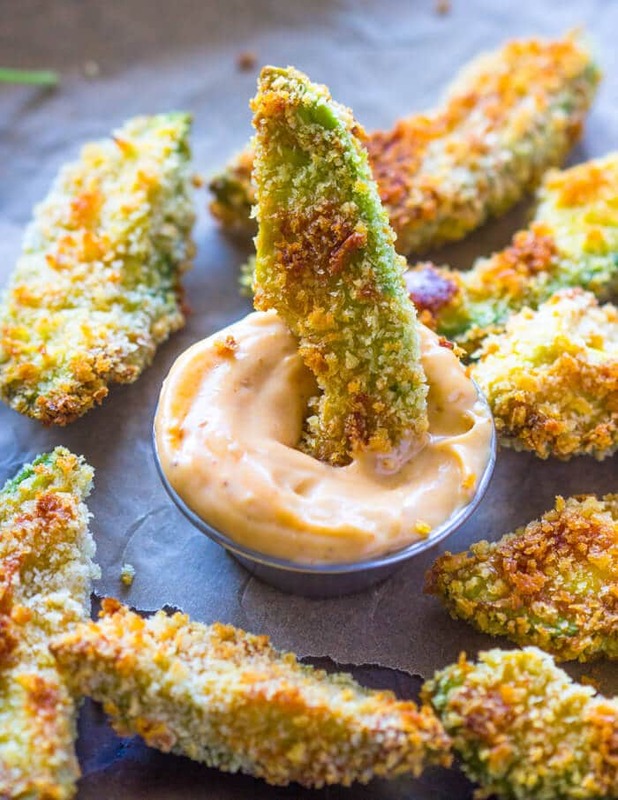 I have tried the avocado fries at The Cheesecake Factory and wanted to know how to make them for myself. Planning to reblog on my site! Do you know what these are calorie wise? They look so good & I love avocados, but I’m dieting. There are bad calories and good calories. You can’t group themeeting into the same category. Don’t count calorie. Cut out processed foods and sugars. I’m sorry this recipe didn’t work out for you. Every oven is different and food cooks at different rates. Maybe next time you can try 10 minutes. I am wondering how much of the wonderful nutrients in the marvelous food is lost when it is cooked? Exactly what I was thinking Betty, I don’t heat any food that contains oil, such as nuts, seeds & avocados etc., as it will do some damage to the nutritional content, I also worry about the oil becoming carcinogenic when cooked on high heat, like baking, frying & toasting, so I only eat those foods raw, which doesn’t mean they can’t be added to a meal, once it’s cooked & cooled a little, sprinkle the oil containing foods (can be ground or chopped) on top, or stir through. Where did you get he information that food cooked in oil become carcinogenic? 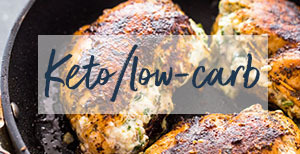 Hi Anonymous, it’s not the food cooked in oil that becomes carcinogenic, it’s the oil when it’s cooked at high heat that becomes carcinogenic, & as some foods such as avocado, nuts & seeds contain oil, I don’t heat those at all, as I think heating any that contains oil must lose it’s beneficial nutrients. 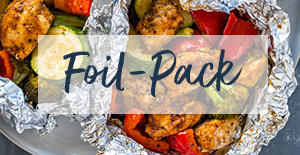 Avocado oil has the highest heat tolerance of any oil. Mine were very bitter also & to a shock, I did not enjoy these. Mine were executed as instructed, but they needed something else. So, I sliced some cucumber & cream cheese to pair with these for my guests. I love these. I bread them then freeze till I am ready to cook them. I make them in my Air Fryer. Crisp and Delicious. 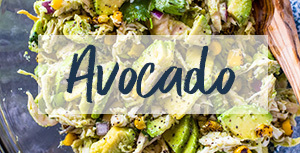 Is there something else besides egg that can be used to baste the avos? 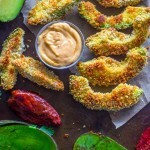 I’ve made crusted avocado fries before but they are nothing compared these beauties! yum!